Trickydj & Noizy Boy , 100mg, Noizy Boy + The Monitorz, Ultraviolence & X-Dream, C&D Project and more. 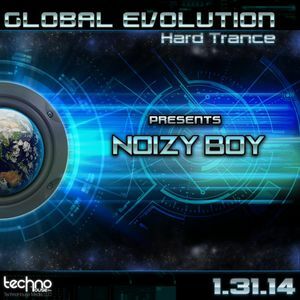 Noizy Boy&apos;s (U.K) Producer Showcase set was featured 1/31/2014 on "Global Evolution", which is a Global International Hard Trance Radio Show based in N.Y.C, on www.TechnoHouse.Fm. Follow us on Facebook by; Liking the page, Spreading the word, & Supporting the movement! SUPPORT THE GLOBAL HARD TRANCE MOVEMENT!! !